Red and Black | Just Shooting Memories! Back near the summer, I began really looking at the local car shows for photography opportunities. At the first show, I ran across a ’68 Chevy Chevelle SS. 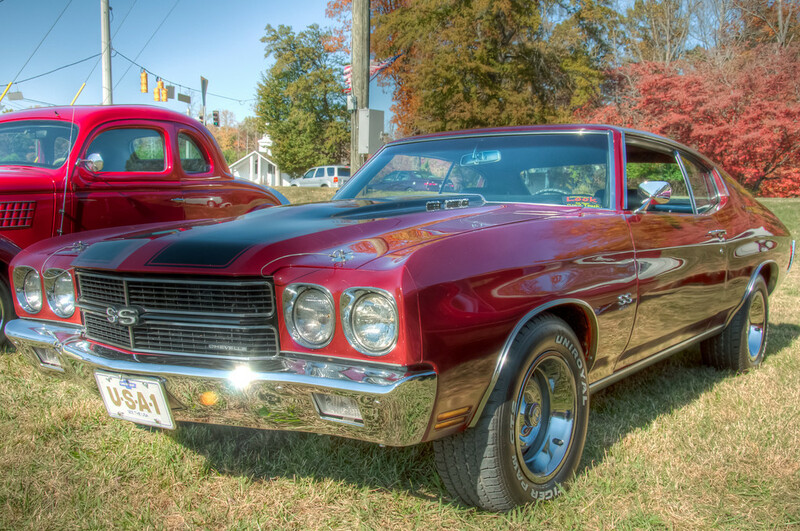 I got a few good shots which brought me back to my childhood and riding in my moms ’70 Chevelle SS. Since then, I have made it a point to look for all the Chevelles at each of the car shows. I have found several 1970’s, but I still have not found one with the round tail lights. I am afraid I may leave that show a lot lighter in the pockets. But until then, I will settle with Just Shooting Memories.